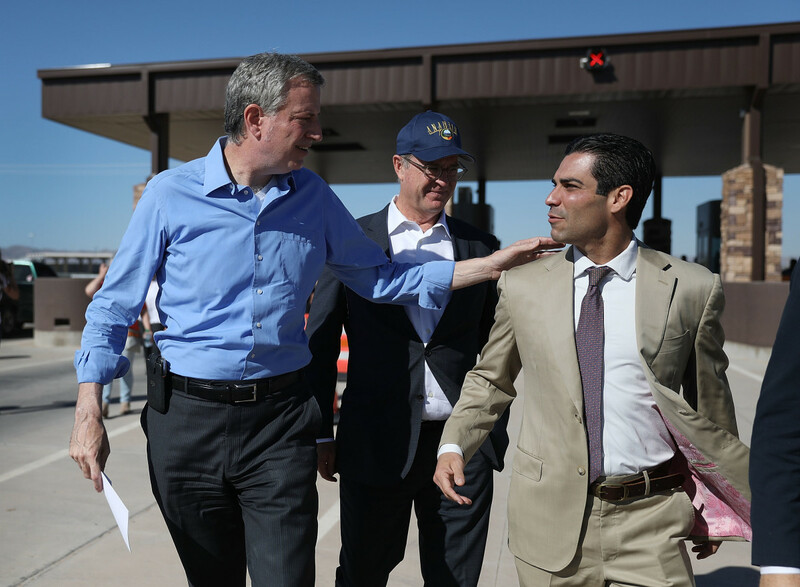 New York City Mayor Bill de Blasio and City of Miami Mayor Francis Suarez (L-R) from the U.S. Conference of Mayors arrive with other mayors at the Tornillo-Guadalupe port of entry to call for the immediate reunification of separated immigrant families on June 21st, 2018, in Fabens, Texas. As the federal narrative around President Donald Trump&apos;s "zero tolerance" immigration policy rapidly shifts, and Congress struggles to draft legislation to ensure humane treatment of children and their families at the border, the nation&apos;s mayors and governors are scrambling to take what local action they can. Recently, 19 mayors of large United States cities gathered in Tornillo, Texas, hoping to get a glimpse of the 1,500 children being held in a detention facility there, only to be denied access by the Department of Homeland Security. At a press conference later that day, the bipartisan coalition of city leaders who make up the U.S. Conference of Mayors called on Congress to pass legislation reuniting families as soon as possible, following an internal resolution passed last week condemning the family separation policy. Several mayors, including Los Angeles&apos; Eric Garcetti, characterized Trump&apos;s executive order stopping the separation of children and parents as a small step that brought up more questions than answers. "We will continue to push for access to facilities. ... We want to be able to lay eyes on these children," said Columbia, South Carolina, Mayor Steve Benjamin, the president of the Conference of Mayors. But, he acknowledged, "That is a piece of the puzzle." The next pieces are harder to place. Many local jurisdictions have for years been resisting Trump&apos;s immigration policies through a range of "sanctuary" city policies that limit cooperation with federal authorities. Now, some localities are experimenting with new ways to exercise their powers to resist. On Friday, days after New York City Mayor Bill de Blasio visited a local Immigration and Customs Enforcement detention center in Harlem where 239 children (one as young as nine months old) were being held, Governor Andrew Cuomo issued an order for detailed information on detainees from all New York agencies that receive children from ICE, which it hopes to use to reunite children with their families. In a letter from the New York State Office of Children and Family Services released by NBC/Telemundo, New York&apos;s acting commissioner ordered each agency to immediately reveal the name and age of each immigrant child and their parents; the date and location of separation; the names and last known locations of immigrant children&apos;s siblings; and their countries of origin and languages spoken. They&apos;ll also be required to provide copies of all contracts, side letters, and agreements executed with the federal governments, as well as summaries of their verbal agreements. 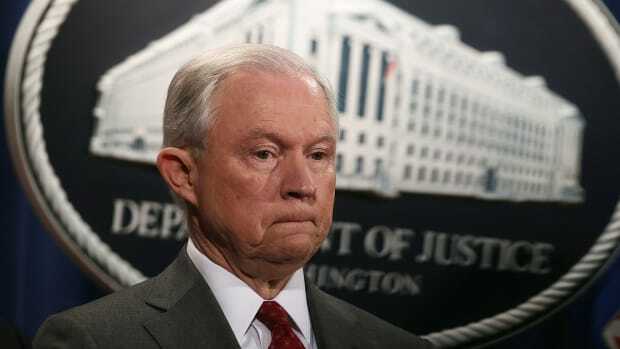 The letters are to be considered as subpoenas for records, reads the letter, and "[f]ailure to respond timely to this request may result in the state&apos;s suspension, revocation or limitation of your residential program&apos;s operating certificate; the withdrawal of approval of your program&apos;s authority to board out children; and/or the referral of the matter for criminal prosecution." The information is due to the commissioner&apos;s office by 10 a.m. Saturday morning. Cities may not have the authority to deliver such sweeping subpoenas, but some have exercised the power to regulate who is held in local detention facilities. For years, Atlanta has maintained an agreement with the U.S. Marshal&apos;s Office to house federal immigration detainees in the city&apos;s local jails. Last Thursday, Atlanta mayor Keisha Lance Bottoms announced that the city would no longer continue the practice. "As we work as a nation to end this despicable immigration policy, the City of Atlanta will not take the risk of being complicit in the separation of families at the border," she said in a statement. Federal immigration authorities have contracts with most other U.S. counties, some of which are now also considering cutting ties with ICE. 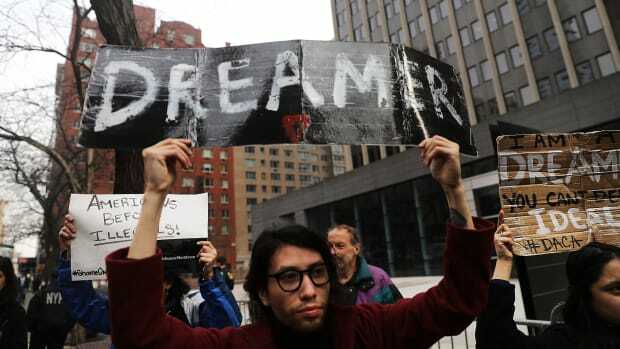 On Tuesday, two other jurisdictions voted to end their contracts with ICE. Williamson County, Texas, will close the all-women immigrant facility T. Don Hutto, after intense pressure from activists over allegations of sexual abuse. Springfield, Illinois&apos; vote was similar to Atlanta&apos;s announcement, terminating cooperation with local jails. It&apos;s not clear whether these moves will actually protect any migrant children, who, under a current court settlement now being contested by Trump, cannot be held in these local facilities. 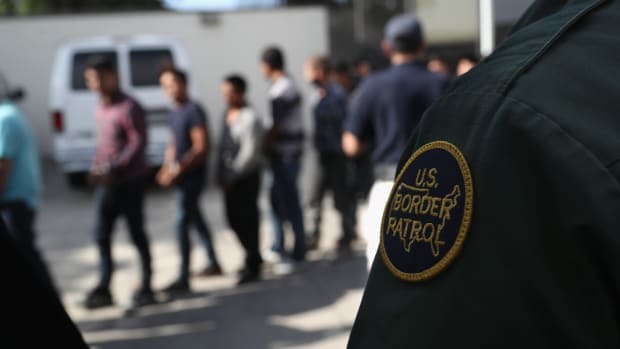 But what they do target is Trump&apos;s broader "zero-tolerance" policy that is escalating the crackdown on border crossers. "This discussion actually began before I realized that the president was considering signing an executive order," Bottoms said in a Thursday press conference. "We still have along way to go, we still have a lot of things that we must consider." Cities also have control over some licensing of local facilities, and could have some power to stop or stall them from being turned into detention facilities like the one in Tornillo. In a Wednesday press conference, Houston mayor Sylvester Turner said he was surprised to learn that a downtown facility he had intended to use to house the city&apos;s homeless was set to be contracted as a detention center for migrant kids. Now, he says, he&apos;ll do everything in his power to slow-walk the permitting process on the building, delaying fire inspections and approvals. "I do not want to be an enabler in this process. I do not want the city to participate in this process," he said. "I don&apos;t want our facilities and property owners to participate in this process." Protests have helped citizens reclaim local control in places like Portland, where activists from Occupy ICE successfully shut down an ICE office by camping out in tents for three nights. The mayor has since come out in support of the protesters. And even before news of the most severe repercussions of Trump&apos;s "zero tolerance" policy broke, Austin, Texas, had taken recent steps to expand the scope of its "sanctuary" status. The city declared itself a "Freedom City" on June 15th, after its council unanimously passed two immigrant-protection resolutions. Councilman Greg Casar told the Los Angeles Times that up to 1,000 low-level arrests could be prevented each year when the new laws take effect: Police will be discouraged from arresting for low-level offenses like marijuana possession, and required to inform detainees that they aren&apos;t legally obligated to answer questions about their immigration status. In a state that began enforcing the harsh immigration enforcement policy SB-4 last May and has a contested "ban" on sanctuary cities, Austin&apos;s added protections are particularly potent. And then there are all the policies that already exist. As of May of 2017, there were around 171 cities with official sanctuary status, and their ranks are multiplying. 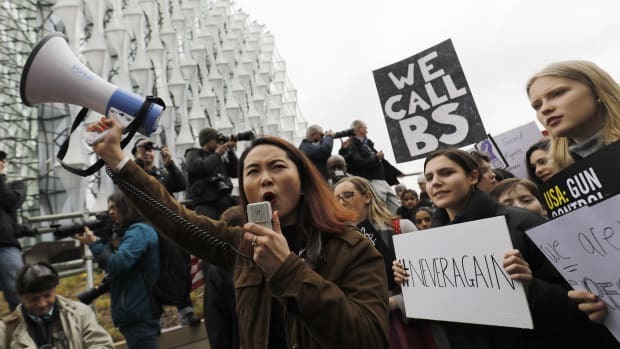 California is home to populous ones like Oakland and San Francisco, and last April declared itself a "sanctuary state," as did Connecticut. The definition of "sanctuary" is slippery. 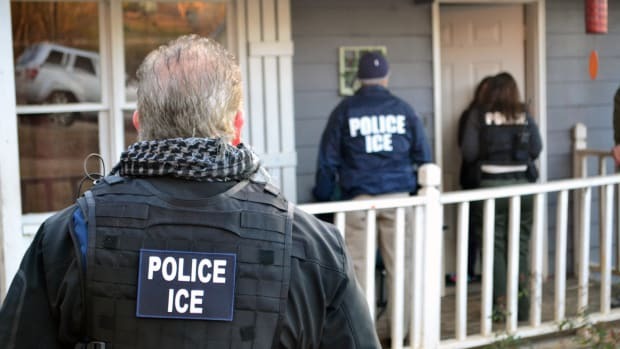 Local cooperation with ICE is hard to regulate, meaning even cities that are prohibited from sanctuary designation by their states, like those in Texas, can engage in immigrant-friendly policing. Garcetti, who leads a "city of sanctuary" and is the grandchild of a once-undocumented immigrant himself, called for further action at Thursday&apos;s press conference. He appealed to cities and counties who control their own welfare systems to treat the kids they receive with care; to get those that should be with their parents, unified; and those who need council, lawyers. "The president retreated today and has not solved the problem," he said. "Zero tolerance still exists, the families are not reunified. But the hope is that the people are demanding change and it cannot be ignored. And if it won&apos;t happen in Washington, we will make it happen."